Pride of ownership!!! Extensive hard wood flooring and granite are just a start to this beautiful 5-bedroom home located in quiet neighborhood with a new roof. It touts an open floor plan with vaulted ceilings and designer flair. Kitchen features a lot of cabinet space, large walk-in pantry, and opens to the spacious family room. The 5th bedroom on main floor could be an office/study. The laundry room features a deep utility sink as an added amenity. Master bedroom suite show cases a walk in shower, tile floors , walk-in closet, and vaulted ceilings. Backyard has mature landscaping with large patio and a water feature. This home is a must see to believe it has too much to list! 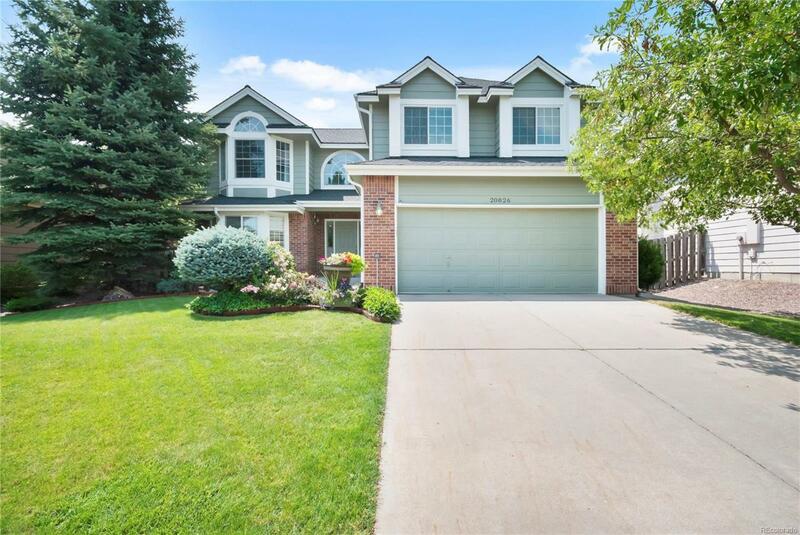 This home is very conveniently located close to shopping and E-470 and Cherry Creek Schools.